What is a Lead? It’s used all over this blog and incorrectly in businesses worldwide! In our series of sales definitions, it’s necessary to be as thorough as possible—and a “lead” takes on many different forms in the life of the sales funnel. We’ve already written on several iterations of a lead. While this post is an overview of what a lead is and all of the different titles a lead may hold, the other posts offer more detail. We’ll link to them throughout for further reading. Nothing too hard to grasp there. We’ll dig deeper by going over the moment a lead becomes, well, a lead. Then, we’ll talk about the different stages and labels of a lead while finishing out the post with a look at when a lead ceases to be a lead. These four ways boil down into two broader categories that we’ll briefly go over. Depending on your sales/marketing process, there may be a time when you are trying to reach those who are “unaware” of your brand (or even your industry). Example: You advertise on any platform (e.g. Facebook, Adwords) hoping to eventually get people/businesses to give you their contact information. If they were unaware, they become aware through your ad. These are a bit different. 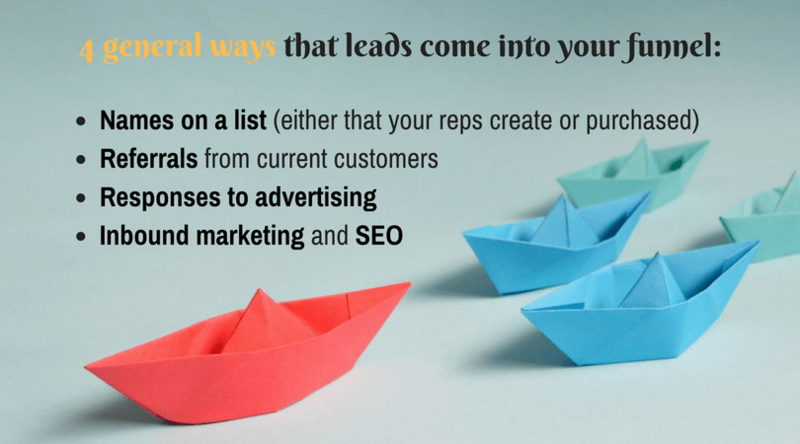 If your sales process is less about advertising and more about finding quality prospects to cold pitch (many B2Bs operate this way), your leads can be leads before they are aware of your brand. This may sound confusing for some, so we’ll do another example to contrast the whole mess. Example: You hunt for high quality leads and the names of potential decision makers to email and cold call in order to get the conversation started and see if said lead is a fit for your product. With that out of the way, we’ll get into the different labels that you may place on a lead. Keep the difference between cold outreach and traditional marketing in mind, they’ll come into play throughout. Once a lead becomes a lead they are ready for your marketing efforts and become an MQL. All this means is that the lead is ready to receive materials and content that will move them closer and closer to the point of becoming sales ready. Depending on how you acquired the lead, your process here will again be different. Funnels are set up to feed content and other items to leads in order to provoke a response and gauge readiness to buy. The score rises when the lead makes a move, clicks on a CTA, or otherwise engages with your material. Once the lead reaches the right level of perceived value, they are ready to move to the next phase of the sales process. For the cold outreach, folks, you’re going to want to figure out whether your lead is a suspect or a prospect quickly. Resource: We have an entire post devoted to this suspect/prospect problem that you can check out here. Essentially, suspects are leads that look good but have no real interest in making a deal. They should be identified and thrown out quickly. Prospects are the real deal. They need your stuff and are close to buying. You may want to do an “are we a fit” call to separate the suspects from the prospects; it’s the best way and we go over it in detail in the post linked to above. This title represents a stage that not all organizations have, but most should (not all, of course). Once a lead reaches the score that indicates they may be ready for a sales interaction, too many businesses ship them to the sales department to be a part of that process. Often times this creates a divide between the marketing team and the sales reps. When it doesn’t end up in a conversion, it’s not good for anybody. Sure, communication between departments go a long way. But what if you could have a step added to the process that will help your marketing team score leads better (over time) while ensuring only the best leads move onto our next label? 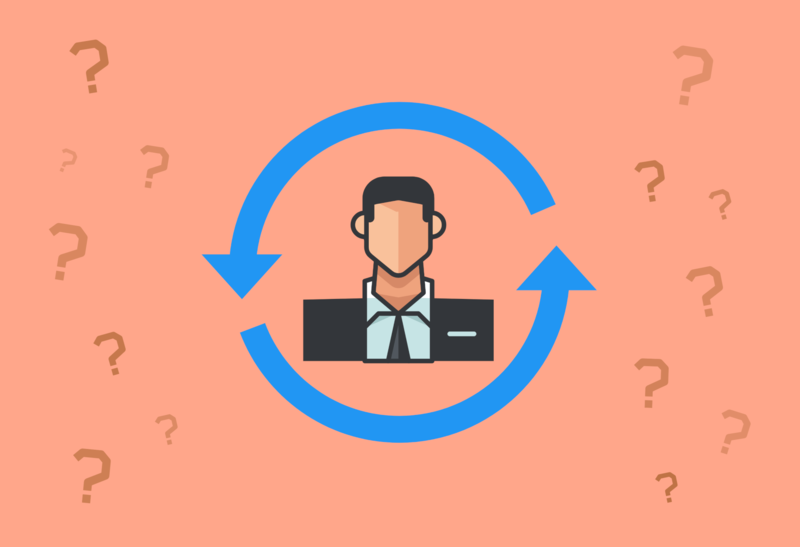 Once a lead meets the prerequisites to move to sales, schedule an exploratory call with the lead and a sales rep.
Do their needs fit our solution? Are they looking for a replacement solution? Have you identified the decision maker? Are they ready to make a move? Immediate feedback to marketing on the lead scoring. Sales is more informed about the lead before the sales call and not so “in the dark”. The process seems more professional to the lead and could be used to prime them for the sales call later. Note: If you handle the entire process from lead to close (cold outreach), you won’t call the lead an SAL. That said, you could (and should) do a similar call to figure out whether the lead is a fit and qualified for a pitch. After this style of call, it’s either back to the funnel (or email cadence), gone forever, or onto the sales process. The last stage a lead will advance to being sales qualified. In some organizations this means that they’ve hit the lead score and went straight to sales for processing, or the sales team has had a preliminary crack at them to give the final go ahead and now they are actively pursuing the close of the deal. If you have sales reps (or are one), this stage is the same for both traditional marketing efforts and cold outreach. You are ready to do a demo, make a pitch, and have that final conversation to ask for the deal. More importantly, the lead is ready to talk. Now, they should be at a point that a decision needs to be made. You want to sell the product, that’s clear. It’s when they are truly considering buying that they are sales qualified. Resource: Here’s the full “What is a Sales Qualified Lead?” post. To bookend all of those different ways to label a lead, we thought it best to end with the point at which a lead is no longer a lead. As you may have figured out—there are three choices at the end of a sales call. We’ll get to maybe in a minute. Other than the maybe, there are two answers to deal with on the account. Closed Won: You got the deal, it’s done. The money’s in house and it will show up on an upcoming paycheck (if you’re on a commission structure). Closed Lost: You didn’t get the deal and the lead expressed that they would not be purchasing your solution. Even if you’ve done the best screening you can think of, you’ll still have a lot of maybes. These will go back into your funnel (if you’re running a marketing funnel). If you’re doing cold outreach, they’ll go back in “the rolodex” for 3-6 months. You’d be surprised by just how many leads will liven up after a few months and end up signing a deal. So don’t get discouraged. Even though this post is a fly-by of the various ways to identify a lead in your sales funnel, we can hope that it has helped you see the value of proper labeling. Take it as a look at the big picture to see how the term “lead” is used in various ways throughout the process. There are tons of sales definitions (many of which we’ve gone over in the blog), but without a grasp of the “lead” a new sales rep will be lost. Hopefully, our explanations will help you and your team to be better equipped and ready to hit the phones (and email).